The colors deviation might differ due to different monitor settings, please kindly understand. The sand can be reused. Note 1: Since the conversion efficiency of the solar panel is affected by the light intensity, the continuous lighting time of the light string may vary due to weather conditions, seasonal changes, geographic location and other factors. This is a normal phenomenon. Note 2: The light string can be charged only when “ON/OFF” is adjusted to ON state. Note 3: Product waterproof design is limited to rain and moisture, do not soak the product in water for a long time. -- The changing colors with the delicate bee style as a feast for the eyes. 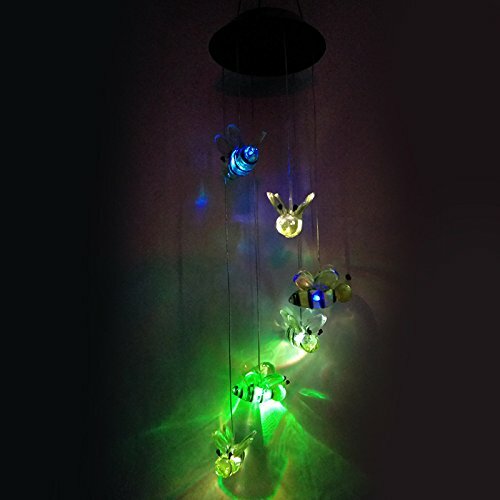 -- It is a creative, power saving and useful home decor. -- The automatic light sensor enables the light to turn on automatically at night. If you have any questions about this product by DSstyles, contact us by completing and submitting the form below. If you are looking for a specif part number, please include it with your message.